Planning with a purpose to add beauty, function, and value to your property. Combine your ideas and our experience and services to produce the results you're looking for. SERVICES: Walkways, patios, walls, structures, and outdoor living spaces utilizing "hard" materials such as natural stone and granite, brick, veneer, and concrete. Heavily equipped for excavation with an ever-growing line of machines and implements. We have the equipment and expertise to get your job done from start to finish for full-service landscape design and construction. With over 15 years experience, Fougere Landscaping, Inc. continues to build a reputation for reliable quality service throughout Middlesex County. 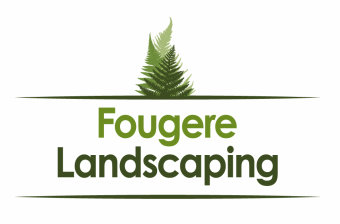 Fougere Landscaping has the experience, the equipment, and the teamwork to create and manage every project we take on from concept to finished product. Contact Fougere Landscaping - your local professionals for Design & Install, Hardscape & Masonry, Bobcat Service, and Snow Management. Fougere Landscaping, Inc. 2015 © All Rights Reserved.